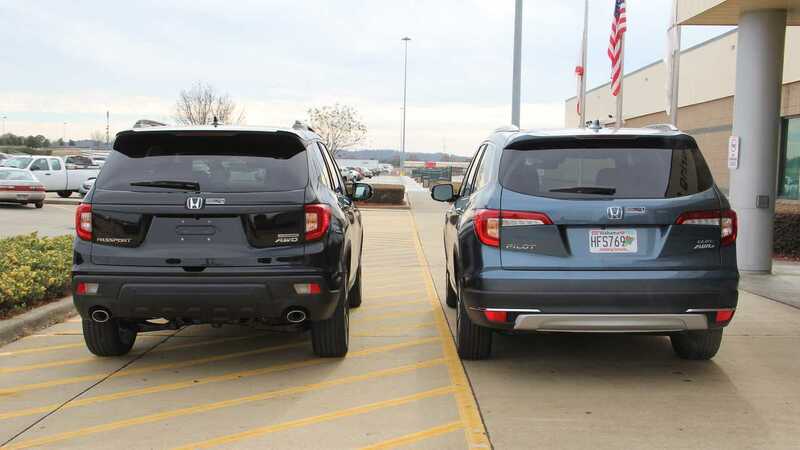 We knew the 2019 Honda Passport shared a number of exterior pieces with the larger Honda Pilot, but even we were surprised to see just how similar the two are from the C-pillar forward. 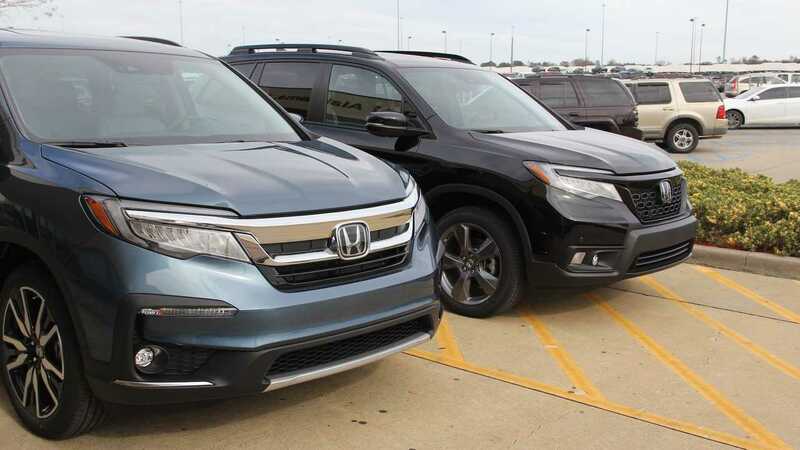 By luck, we picked up our long-term 2019 Honda Pilot at the company's Lincoln, Alabama factory on the very same day that Passport production commenced. As fortune would have it, Honda parked one of the earliest examples of its pruned Pilot right in front of the plant’s entrance. 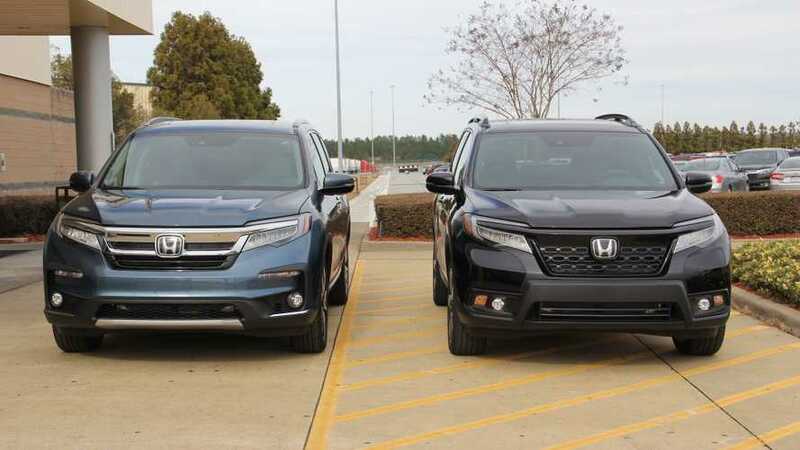 With our freshly minted Steel Sapphire long-term car parked only a few feet away, we took it upon ourselves to place it next to the Passport and literally see what separates the designs of the two Honda mid-size crossover SUVs. The most noticeable differences are at the vehicles' rears, where the two crossovers sport model-specific tailgates and lower fascias. Whereas the Pilot incorporates its reverse lights into the tailgate itself, the Passport places its backup lamps in the rear bumper. Still, the two do appear to share the same fender-mounted taillamp. Thanks to a six-inch reduction in overall length and up to 1.1 inches of additional ground clearance, the Passport is a smidge more attractive from the rear three-quarter angle. 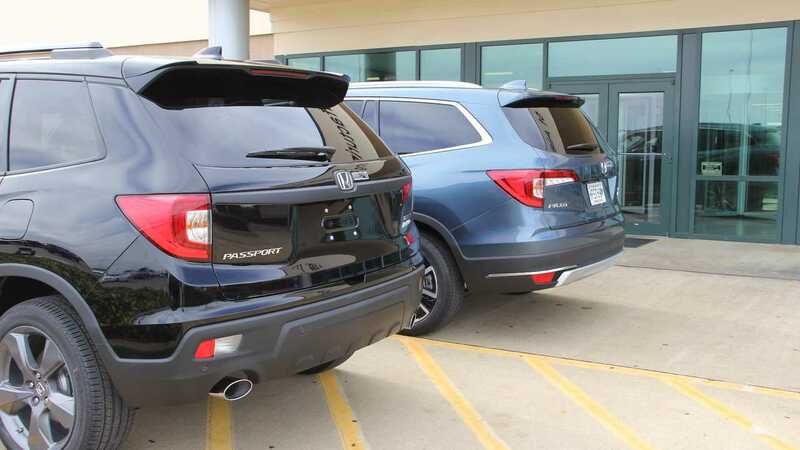 Its unique rear-window shape and available 27.6-degree departure angle (6.8 degrees greater than the Pilot’s) gives the five-seat crossover a look that befits its more rough-and-tumble image. Move toward the front ends of the two crossovers, though, and less separates the models. The doors and front fenders are all but identical. Same goes for the hood and headlights. The two Honda’s, however, do feature different front fascias, which belies each vehicle with its own design persona. Whereas the Pilot’s mug is all business, the Passport wears a maw made for taking on the outdoors. Larger bits of black plastic ensure there are less painted areas to gather scratches from dirt or rocks, while a model-specific grille design gives the Passport a slightly more aggressive look. 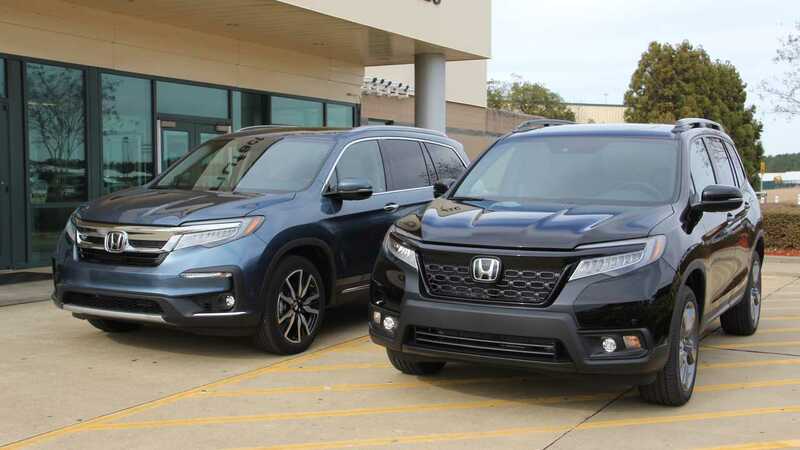 The 2019 Honda Passport goes on sale early next year. 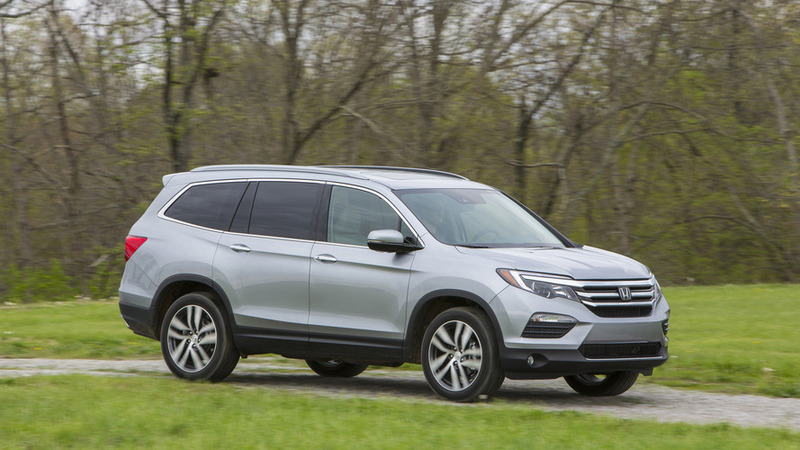 While pricing remains under wraps, we expect the five-passenger crossover SUV to start at less than $30,000.